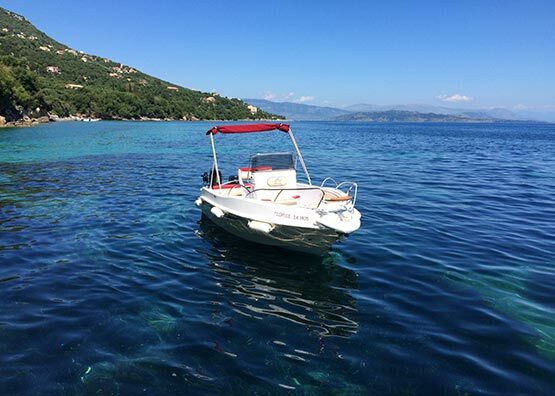 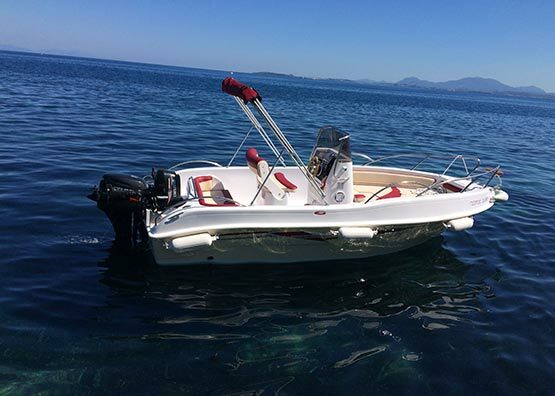 Our boats can be delivered to your Villa mooring after arrangement. 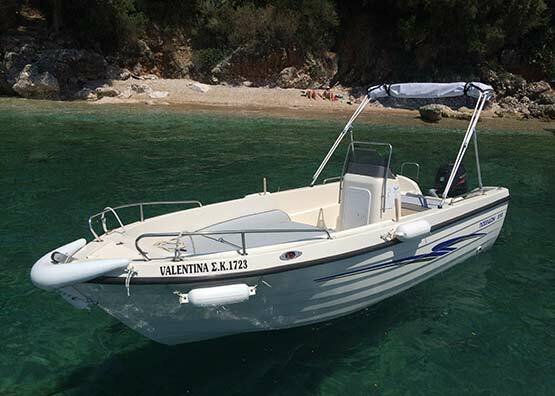 The boats shown below, apart from Jeronymo, are all powered by engines of 30 HP and therefore do not need a license. 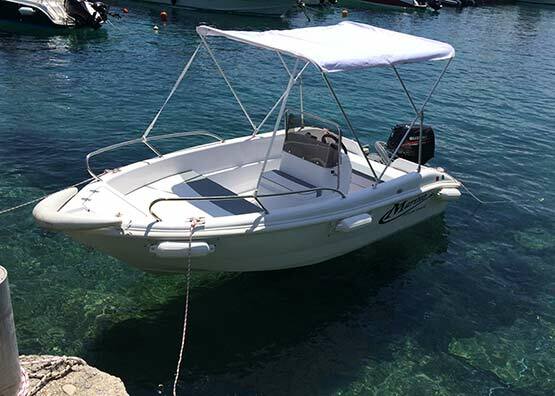 We provide a cooler box free of charge, in each boat for your drinks and food. 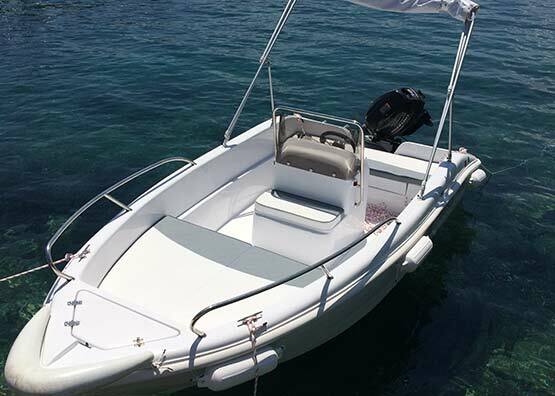 Our boats can be delivered to your Villa mooring after arrangement. 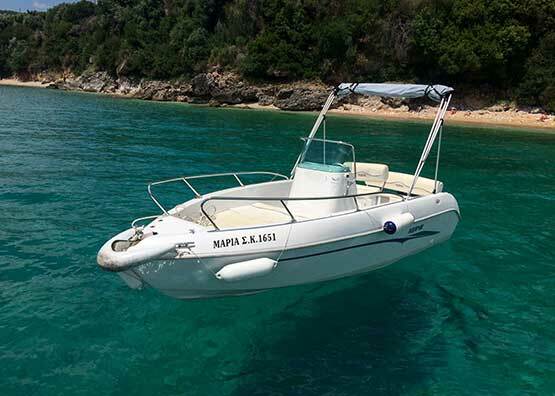 All our boats apart from Jeronymo do not require license and are easy to handle. 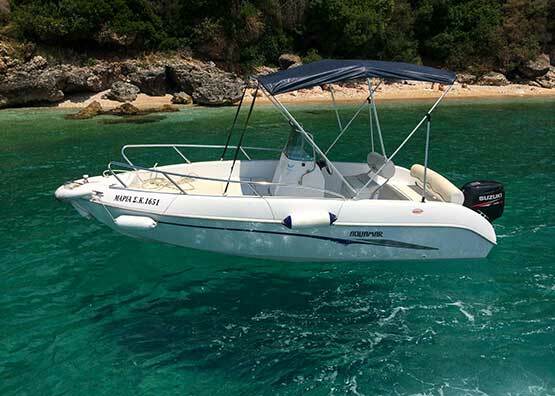 Jeronymo is a speed boat and therefore license is needed. 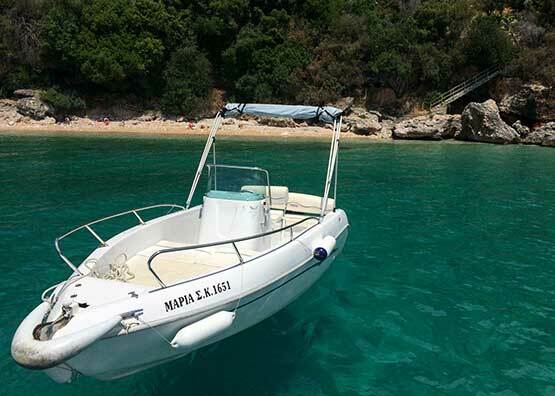 Every morning after 9.00 am you can hire your boat from Nissaki harbor. 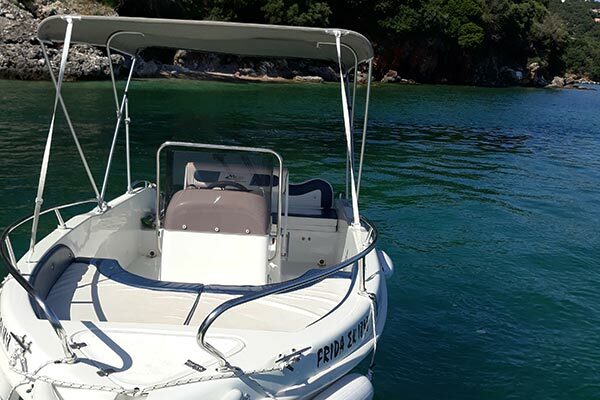 You will be offer a 15 minute introductory lesson where you will learn basic boat handling, mooring and various aspects of boat safety. 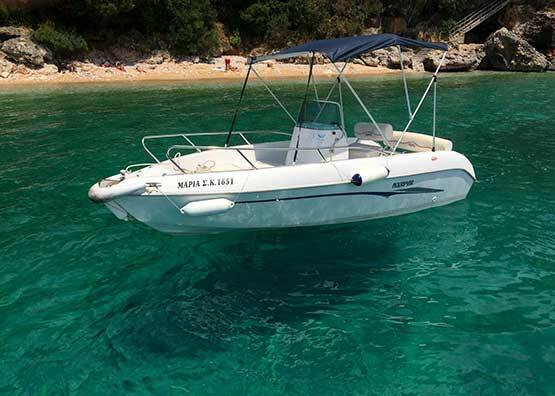 It is advisable that you bring with you water and drinks for your trip. 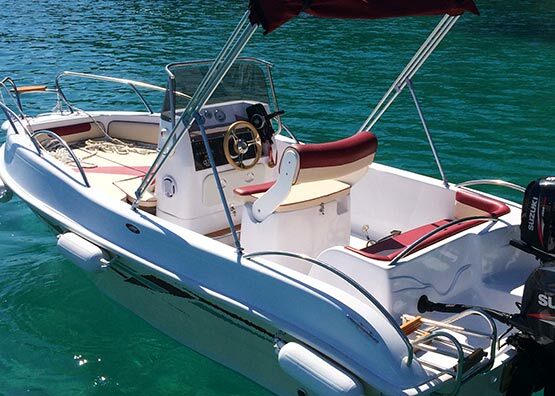 We provide free of charge a cooler box in each boat for your drinks and a picnic. 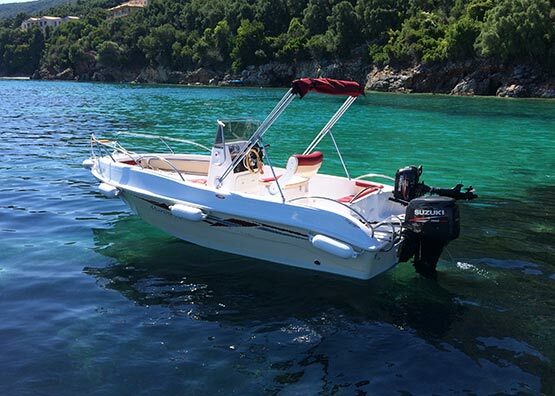 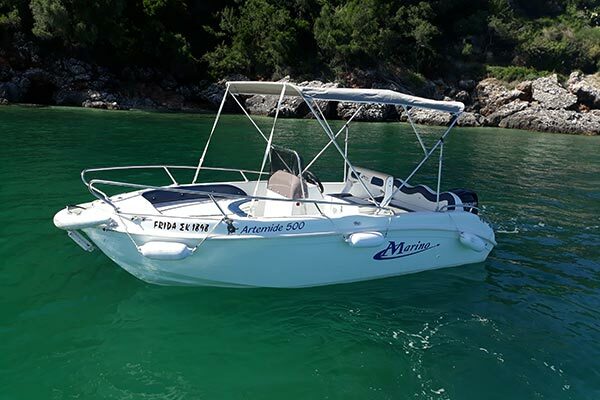 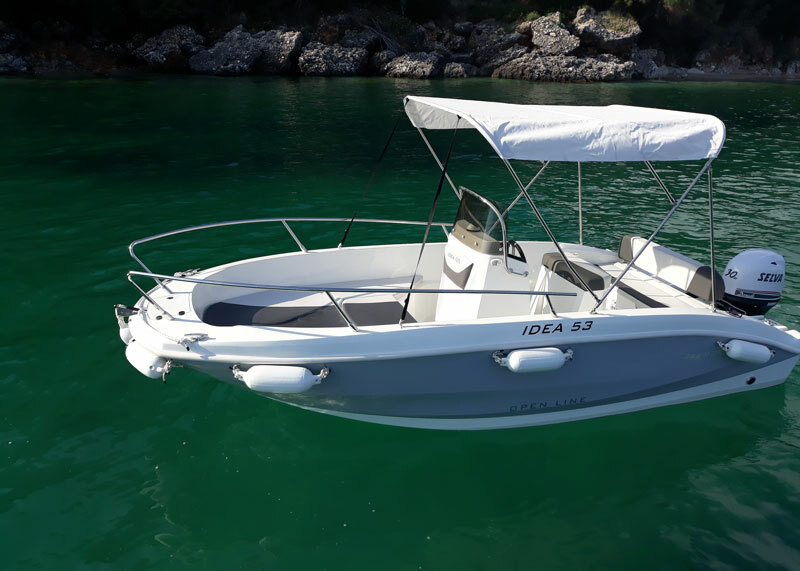 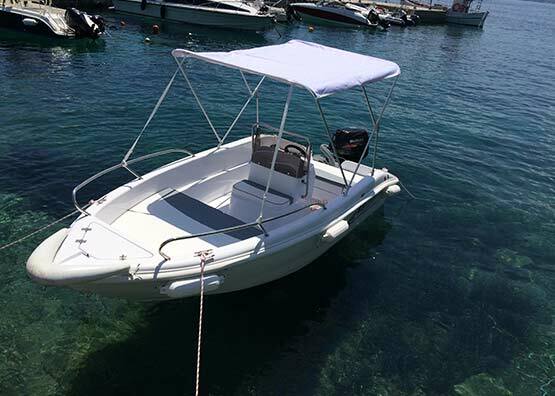 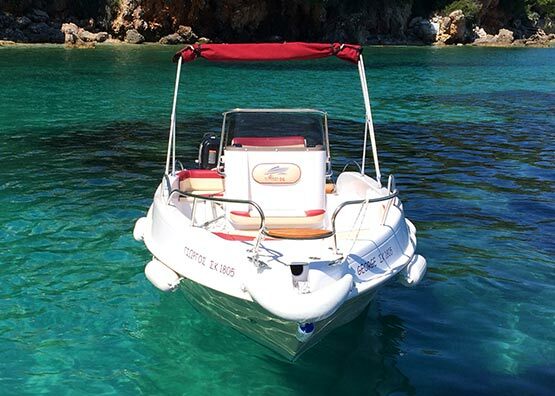 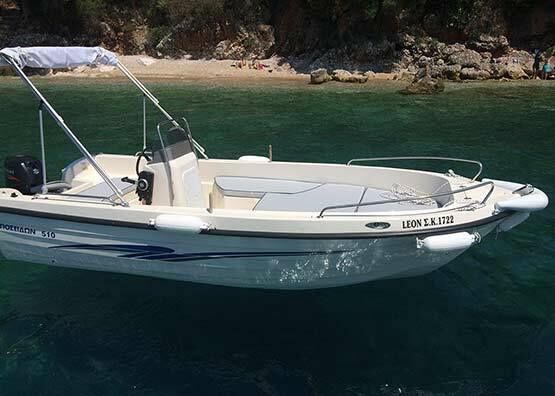 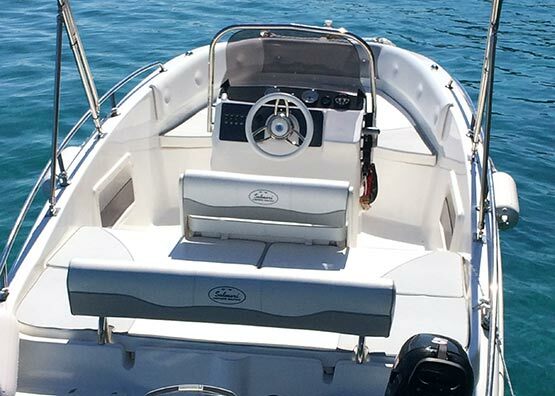 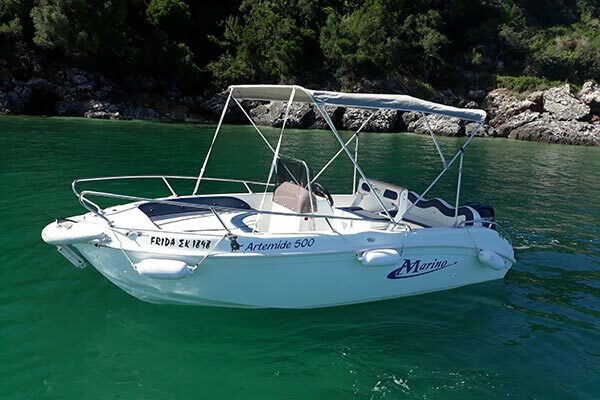 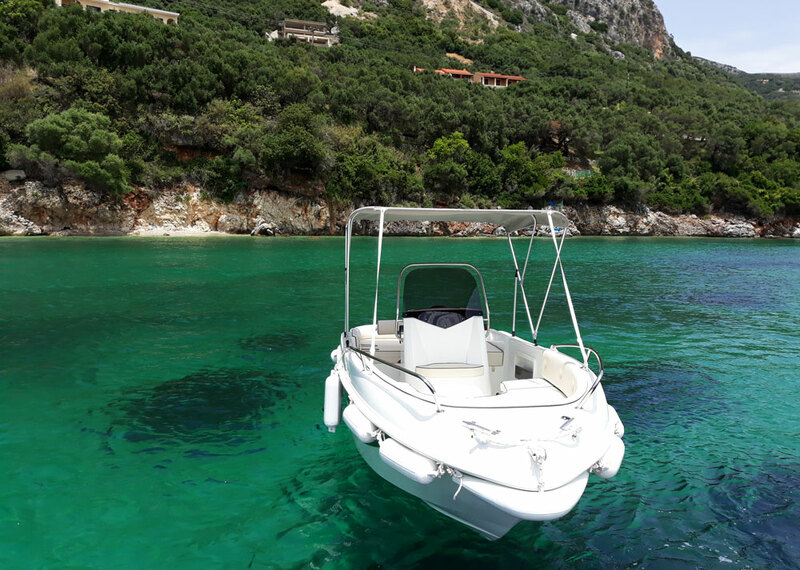 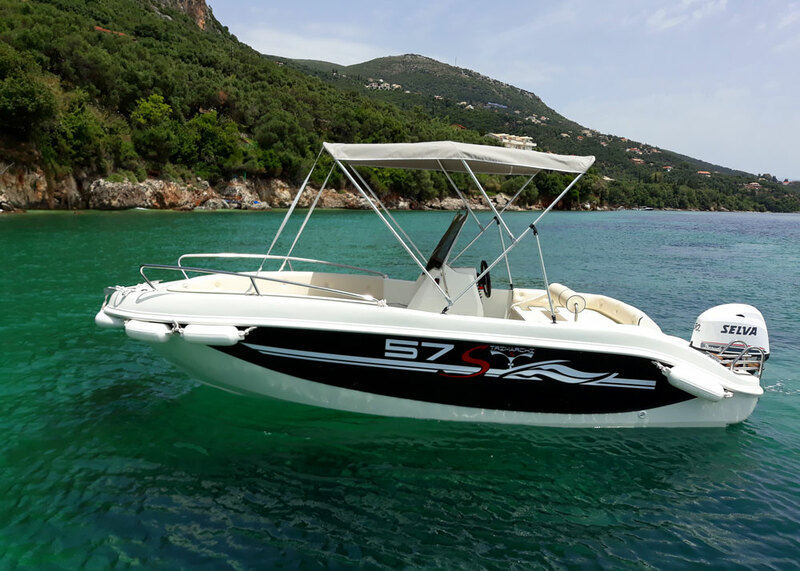 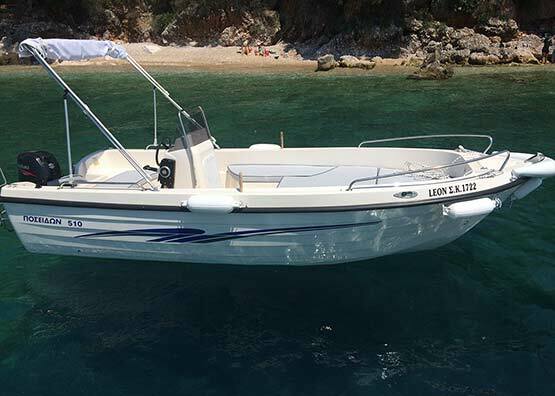 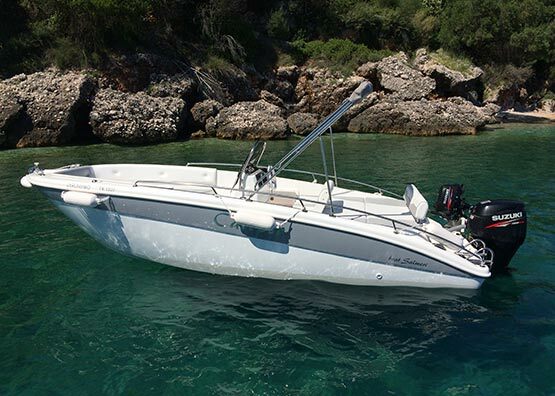 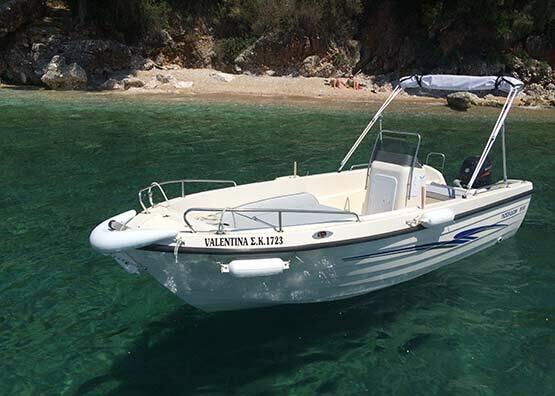 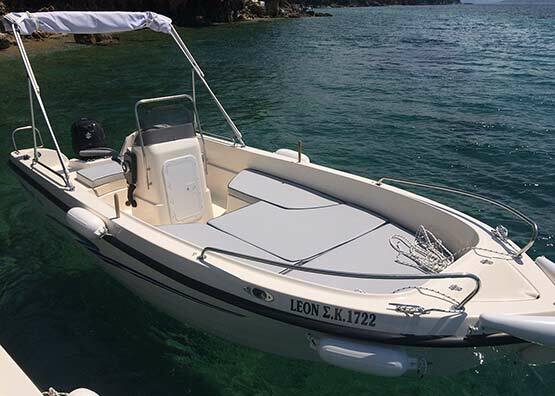 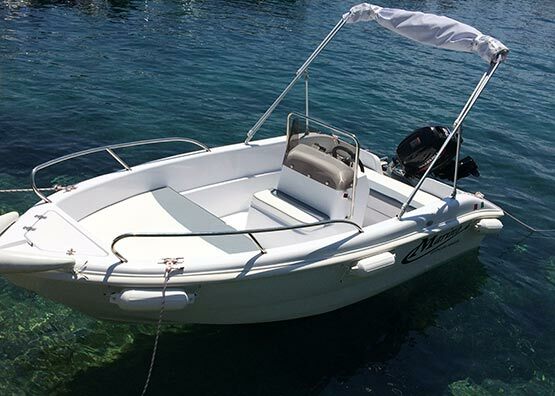 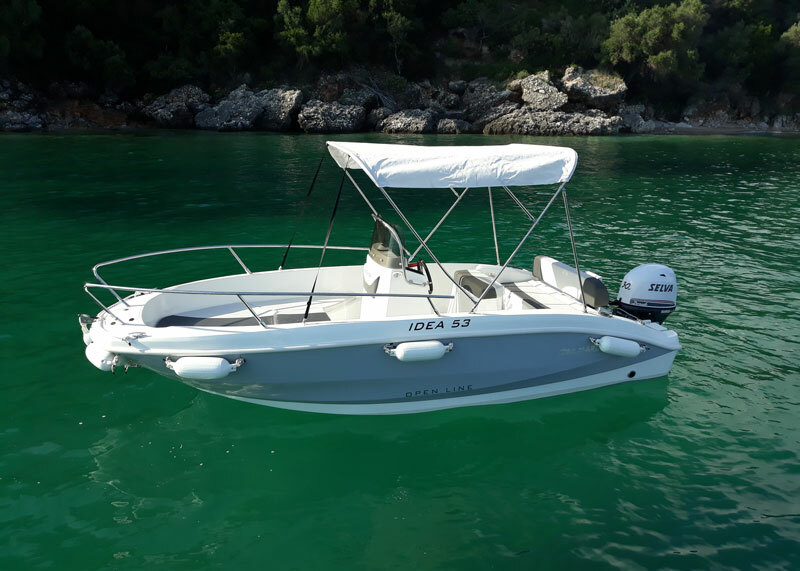 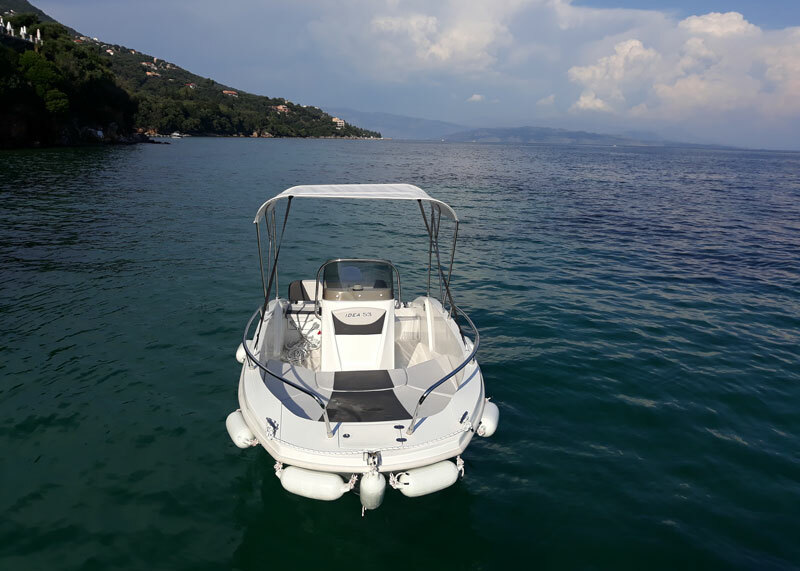 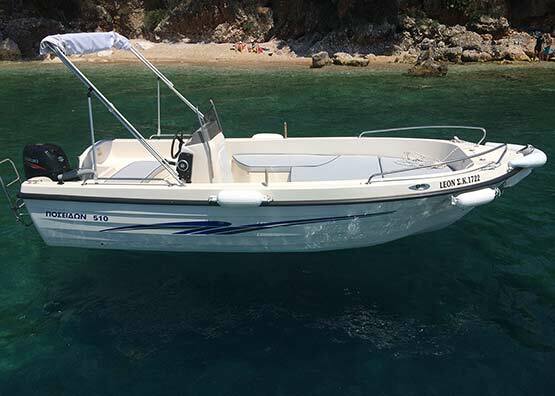 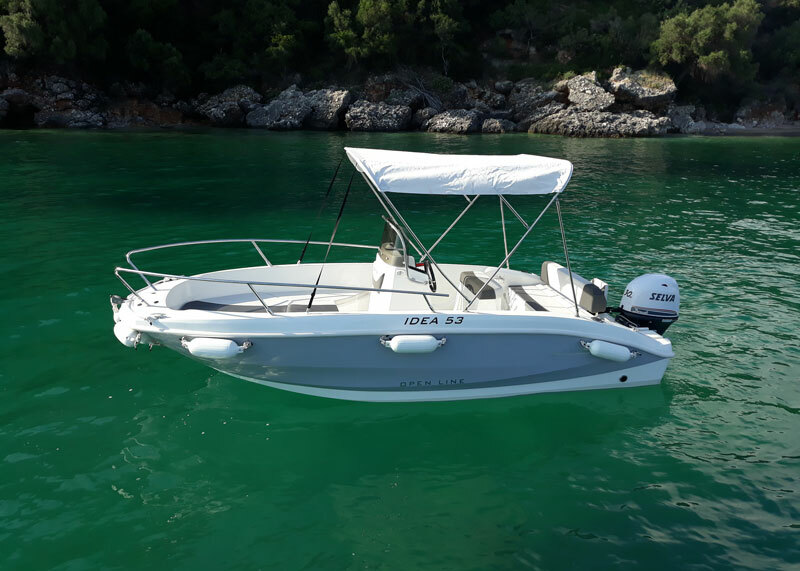 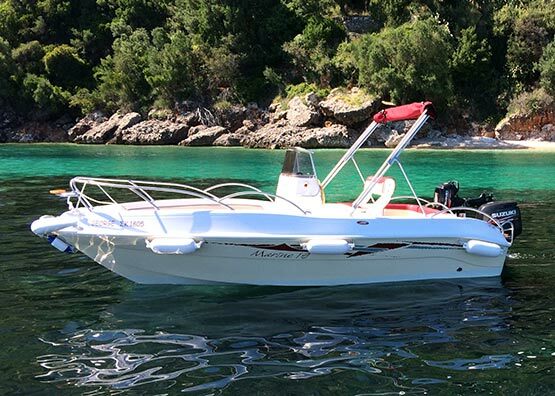 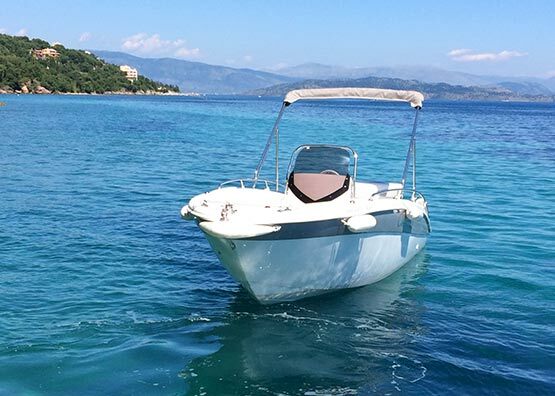 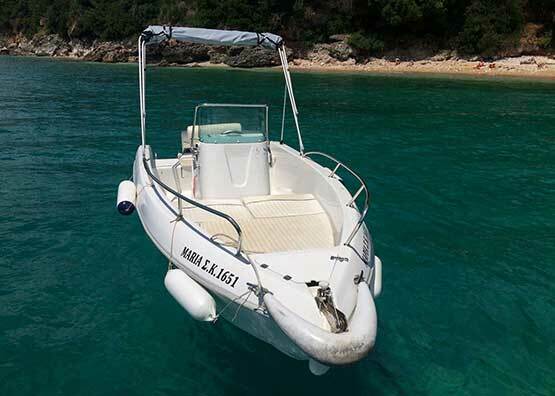 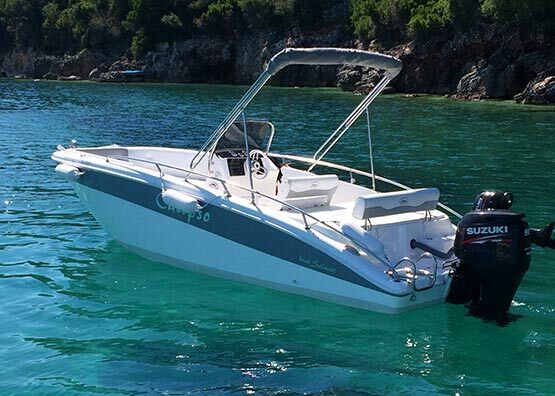 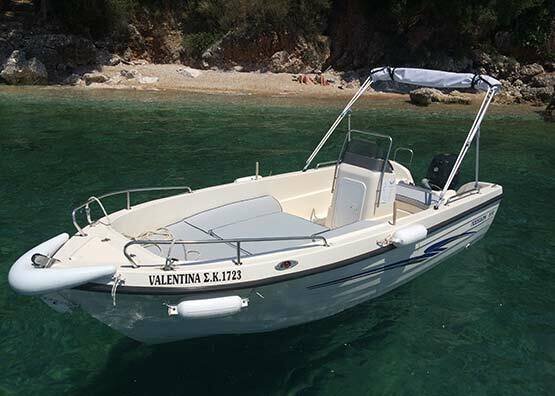 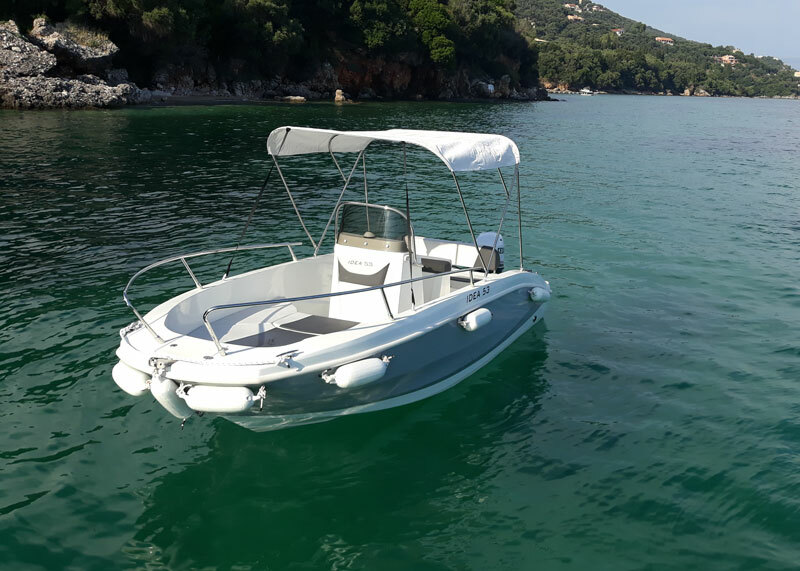 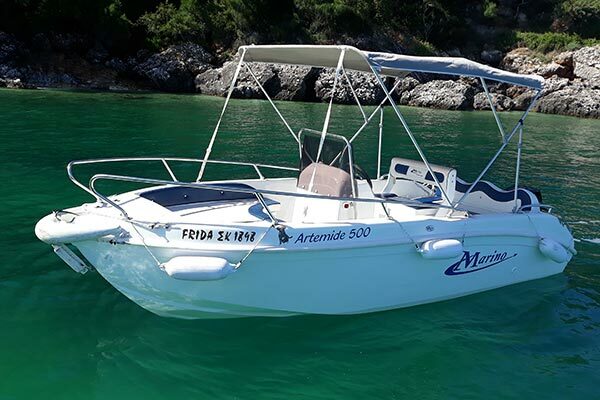 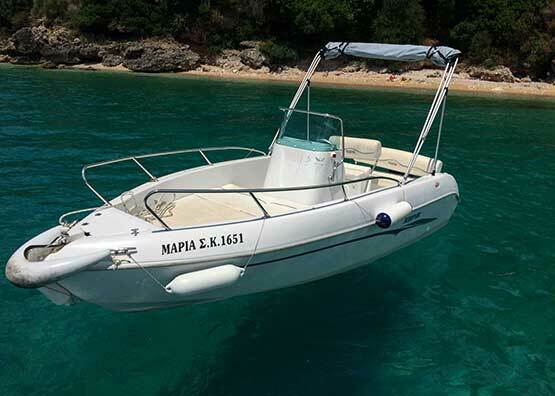 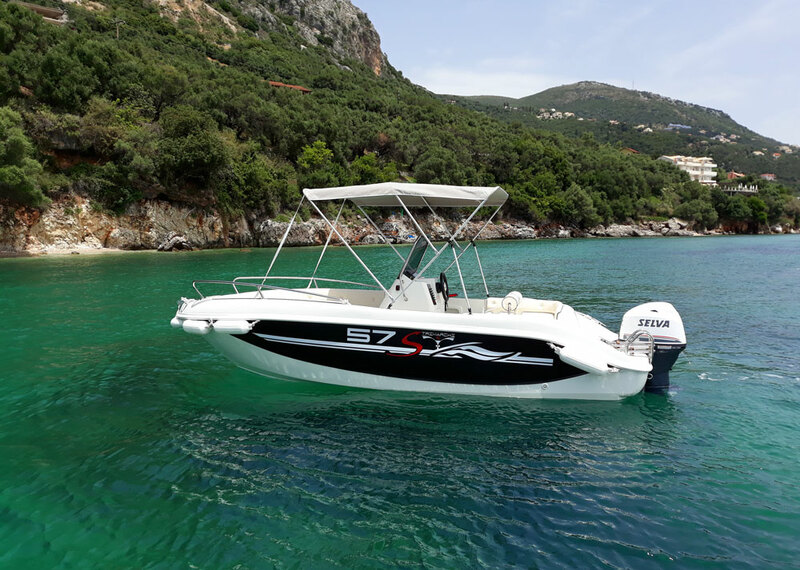 All of our boats are fully equipped according to the Greek maritime law.